My cards are getting stronger day by day as I keep leveling up every card I get. 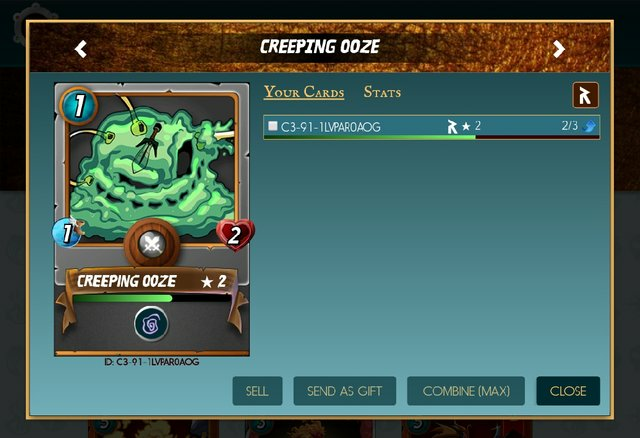 I just level up another card, this time a Creeping Ooze card. 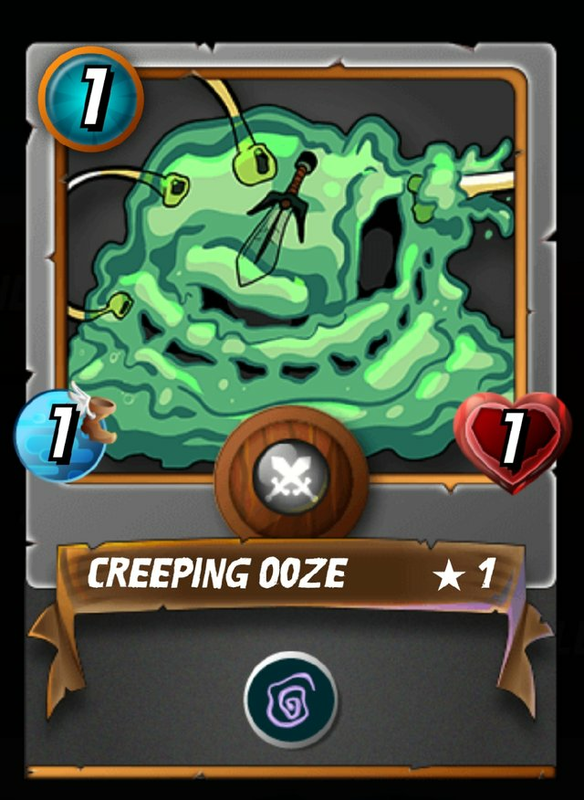 I got this Creeping Ooze card as a reward for completing a Pirate Attacks quest. I completed this Pirate Attacks quest by winning 5 ranked battles with Water Splinter. Although the Creeping Ooze card has not been contributing significantly in battles, I'm still happy to have it and to level it up. I believe by the time it is completely leveled up, it will have a lot to contribute.